Dr. Kermit Gosnell, 69, is being charged with third degree murder for the death of 41-year-old Karnamaya Mongar who allegedly overdosed on anesthetics prescribed by Gosnell. A West Philadelphia abortion doctor faces murder charges. 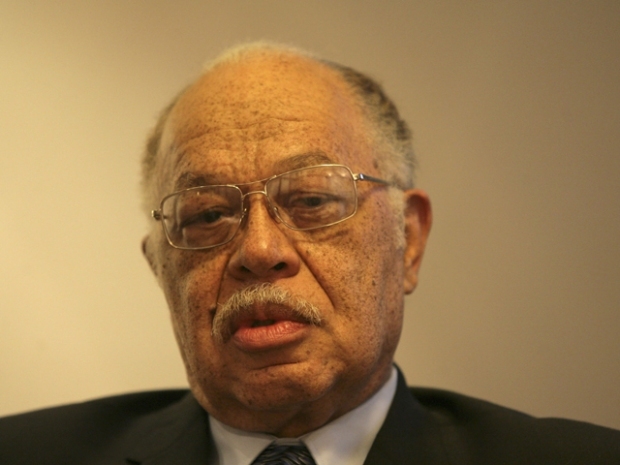 Kermit Gosnell is accused of causing the death of one of his patients and killing several babies born alive. The investigation began February 2010 when police received tips that Gosnell was illegally selling thousands of oxycontin prescriptions to "patients" he had never examined. After two patients allegedly died from complications in Gosnell’s Women’s Medical Society at 38th Street and Lancaster Avenue, authorities served the abortion doctor with search warrants for his practice and his home in Mantua last April. In the clinic, FBI and Drug Enforcement Administration agents found abhorrent conditions, which included jars packed with severed baby feet lining the shelves; bags and bottles of aborted fetuses scattered throughout the office; bloodstained furniture and floors; and unlicensed employees who regularly injected sedatives into women having illegal, late-term abortions, according to Williams. For more details and photos (warning: graphic images) go to the Grand Jury's Report on the case. Pearl Gosnell, 49, of N. 32nd Street, Philadelphia, is the wife of Kermit Gosnell, and is accused of performing illegal abortions at the clinic. She is charged with abortion at 24 or more weeks, conspiracy, and other charges. Lynda Williams, 42, of N. Madison Avenue in Wilmington, Del., was allegedly an unlicensed worker who routinely performed illegal operations and administered anesthesia. She is charged with murder of one of the babies, abortion at 24 or more weeks, conspiracy, racketeering and other charges. Sherry West, 51, of the 1800 block of Blatty Place in Newark, Del. 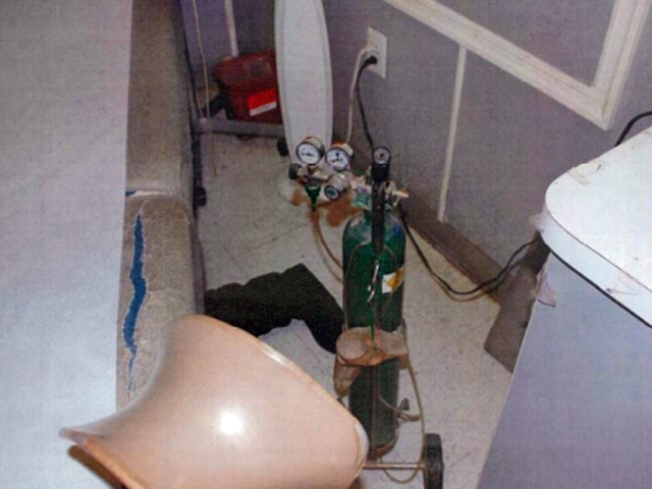 was allegedly an unlicensed worker who routinely performed illegal operations and administered anesthesia. She is charged with third degree murder in the death of Mongar, abortion at 24 or more weeks, conspiracy, racketeering, tampering with records, hindering prosecution, obstructing administration of law and other charges. Adrienne Moton, 33, of Hampton Road in Upper Darby, was allegedly an unlicensed worker at the clinic who routinely administered anesthesia to patients. She is charged with murder for the death of a baby who was born alive, says Williams. She is also charged with conspiracy and racketeering. Steven Massof, 48, of West Marlin Drive in Pittsburgh, is a medical school graduate without a license or certification who worked as a doctor at the clinic, says Williams. He is charged with two counts of murder for the deaths of two babies who were born alive. He also faces conspiracy, theft by deception, racketeering and other charges. Elizabeth Hampton, 51, of the 5000 block of Arch Street in Philadelphia is Gosnell's sister-in-law and is facing obstructing administration of law, hindering prosecution, perjury and false swearing charges, according to Williams. Eileen O'Neill, 54, of Nutt Road in Phoenixville, is a medical school graduate who worked as a doctor at the clinic but had no license or certification, says Williams. She is charged with theft by deception, conspiracy, racketeering, perjury and false swearing. Tina Baldwin, 45, of South 63rd Street in Philadelphia, was an unlicensed worker at the clinic who illegally administered anesthesia to patients and allowed her 15-year-old daughter, who also worked at the clinic, to administer anesthesia to patients as well. She is charged with racketeering, conspiracy, and corruption of a minor, says Williams. Maddline Joe, 53, of the 800 block of Atwood Road in Philadelphia is charged with conspiracy. She was the office manager at the clinic, Williams says.